Our high performance range of TP-Link routers will allow you to enjoy a reliable, high-speed Internet connection that is perfect for streaming, gaming or simply surfing. Compatible with all types of Broadband, our range of TP-Link routers will allow you to make the most of your Internet and reap the benefits that come hand in hand with a high-speed Internet connection. 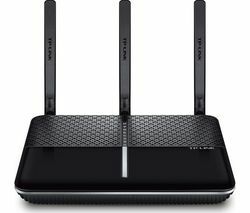 Featuring dual band technology, our TP-Link routers will allow you to access two frequencies, 2.4 GHz or 5 GHz, meaning you can adapt your router to suit how you are using your Internet. For example, 2.4 GHz is ideal for less intensive tasks such as sending emails and 5 GHz is ideal for gaming and streaming high-definition videos. Our TP-Link routers also come with a number of handy features, such as Versatile Connectivity to let you work with any kind of Internet connection, and parental control functions so you can monitor and restrict the content your little ones can access online. Whether you’re watching high definition movies, gaming or simply catching up with your social media platforms, our extensive range of TP-Link routers will allow you to access fast and secure Internet connection in an instant. 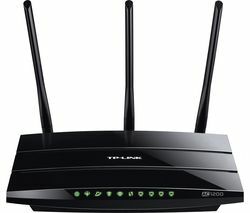 Check out our collection of routers including a wide range of Linksys, Netgear, Apple, D-Link, and ASUS routers.